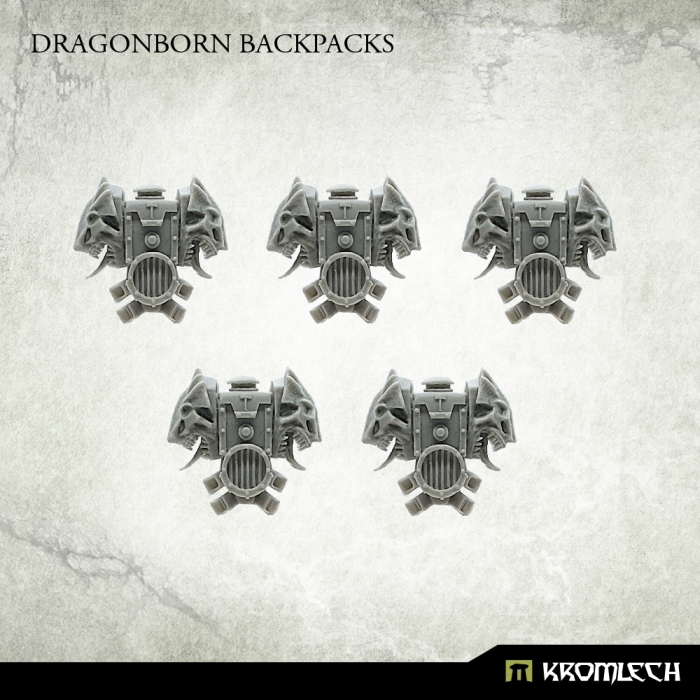 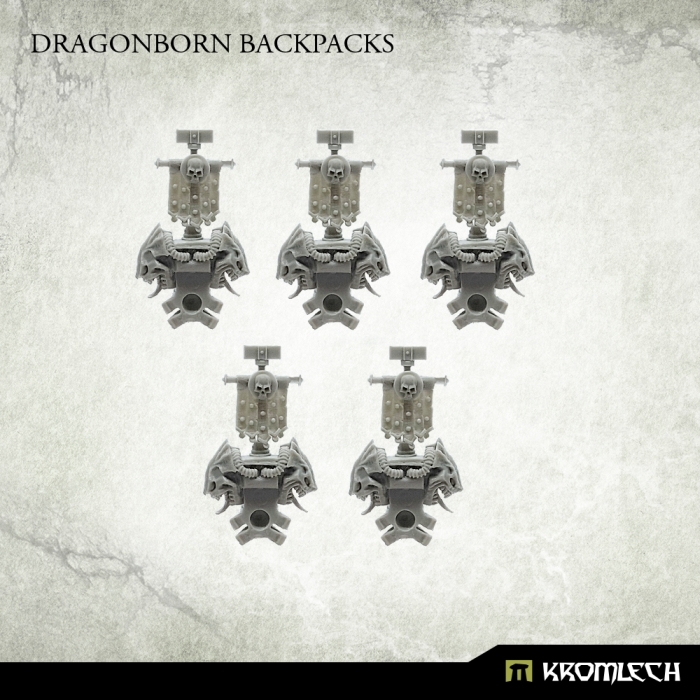 This set contains 5 high quality resin Dragonborn Backpacks. 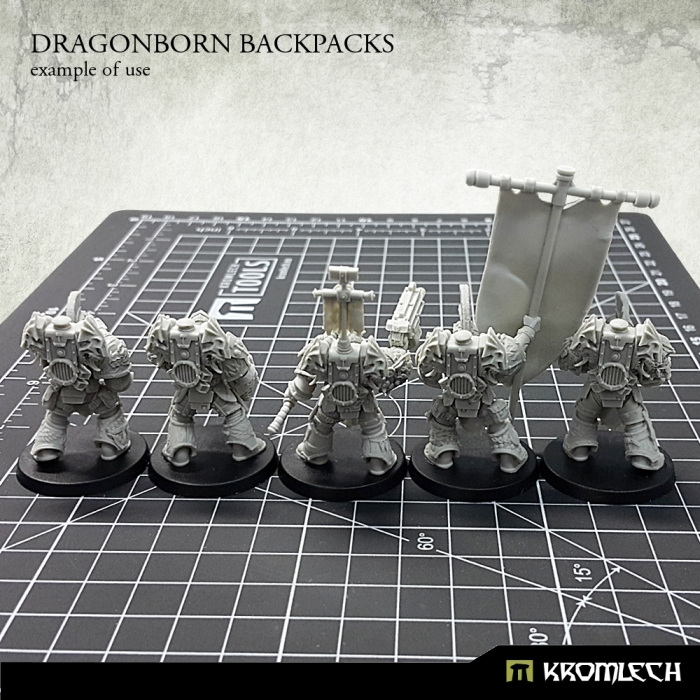 You can assembly them with a top banner or a plug. 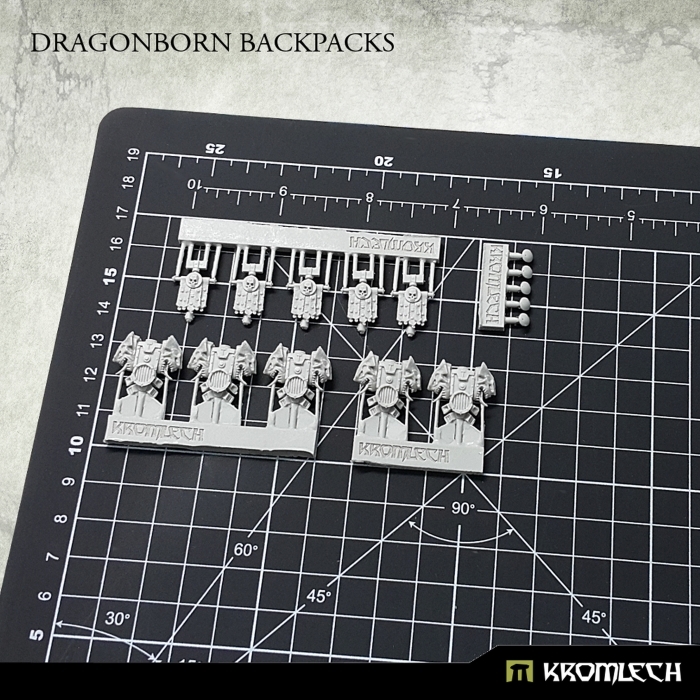 Designed to fit futuristic 28mm heroic scale heavy armoured troopers.